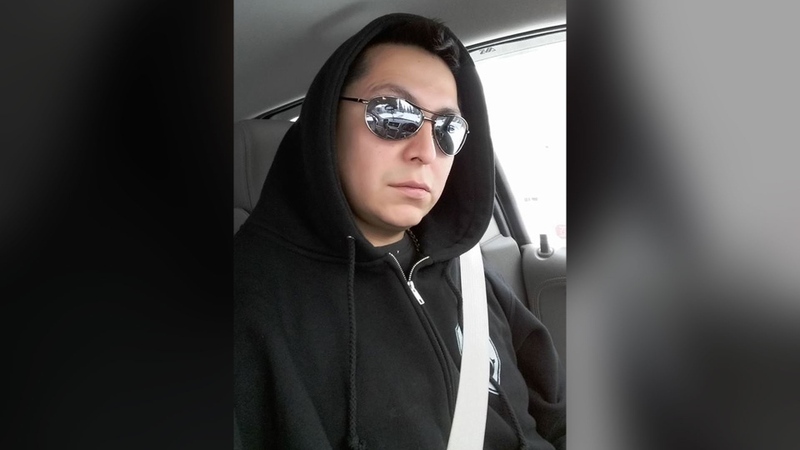 A First Nation community is grieving after five of its members were killed in a collision south of Edmonton on Tuesday. 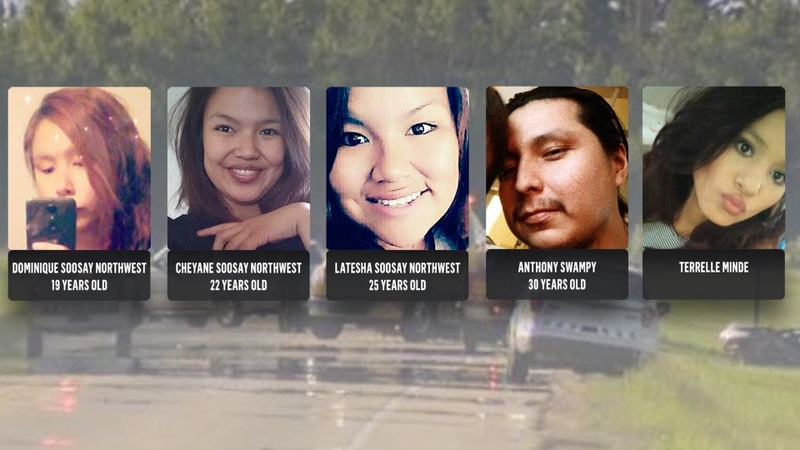 The victims — who were all in the Pontiac — included three sisters and a couple from Samson Cree Nation. All five of them were living in Wetaskawin. The sisters were Dominique Soosay Northwest, 19; Cheyane Soosay Northwest, 22; and Latesha Soosay Northwest, 25. They had five children between them. Cheyanne, Dominique and Latesha Soosay Northwest, Anthony Swampy and Terrelle Minde are seen in this composite image. Anthony Swampy, 30, and his girlfriend Terrelle Minde, were also killed. Chief Vernon Saddleback said it has been “tough” on the community. The occupant of the second vehicle suffered minor injuries and is recovering in hospital. Anthony Swampy is seen in this undated image. Swampy is one of the five victims of a crash near Edmonton. Photos taken at the scene show an SUV with some damage to its front end and the Pontiac with extensive damage to its back half. Wetaskiwin RCMP are investigating the cause of the crash. Cpl. Laurel Scott said she was in “no position” to speak about the cause. “We’re looking into every factor,” she said. Kate Spade's husband: Apparent suicide a "complete shock"